God can work through anyone with an open heart to bring His Light and Love into the world. It can come through in countless ways – from the big to the seemingly smallest of things. Those that have been used by God to bless another know it is a joy and privilege to serve. On a Tuesday morning after spending a three-day weekend attending a class at the Nature Awareness School, I decided to go to my office early to catch up on some work. I sat at my desk before I started getting into my work and wanted to sing HU, a love song to God. It was quiet in the building and no one was around. I gave thanks to God and I began to sing HU. Afterwards I asked the Prophet (my spiritual guide on the inner) if he could help me serve someone today and be a blessing to someone. I then began to do some work at my desk and within a couple of minutes someone knocked on my door. It was a colleague and he came in. He stood there and we began to talk about things that were work related, but he seemed agitated and bothered. We continued to talk and then he snapped at me. I asked, “What’s going on, are you okay?” and he replied, “I’m fine” in an unmannerly tone. I could tell that something was bothering him, so I asked again, “Is everything all right?” All of a sudden his tone changed and he began to tell me what was happening in his life, and then he began to cry. I listened to him talk then got up from my desk and went to him and said, “It will be okay.” I got a nudge to give him a hug and when I did I could feel God’s Love surround us. He cried in my arms for a bit and I just held him. While he was in my arms I was asking for God’s help and guidance with this situation. I told my colleague that he is loved, that God loves him, and so do a lot of other people. I assured him that everything always works out, maybe not on our time, but in God’s time. I could feel him relax and release some of the tension that was inside of him. I could feel that he was relieved to hear what was being said; it was a blessing for me to hear it also. I felt in that moment that God’s Love was there and palpable. He settled down and we talked some more and then we went about our day. I was grateful for that moment. It is amazing to see that earlier that morning I had asked to be a blessing to someone and immediately I was given the opportunity to serve. God does hear our prayers, and if we ask He will respond. Maybe not in the way we think it should happen, but in His own way and time. I believe we can let God work through us if we ask and listen for His response. I was grateful for the opportunity to help a colleague by listening to him and giving him a hug, just when he needed it. Later that week he stopped by my office and thanked me for listening to him and apologized for taking up my time. I reassured him that it was okay, and that it was a blessing for me to be reminded that God loves us! Sometimes we may be reunited spiritually with someone very shortly after they pass. Other times, it might be years later. As much as we may want to see our loved ones and friends immediately, it ultimately brings more peace to trust God’s timing on these matters. Our book “Visit Loved Ones in Heaven” is filled with incredible stories of people reuniting with lost loved ones. In the mid nineties I took a job at a manufactured housing retirement community in North Carolina. My employer, Tony and his wife, owned the business. He was my supervisor and mentor, and I loved him dearly. He was very charismatic and had a beautiful way with people, yet was very firm and to the point if needed. Over the years he guided me in overseeing the community. He kept me entertained with all of his wonderful stories and his delightful sense of humor. His stories were about growing up, experiences living in Chicago, and of his visits to the “Old Country” or Sicily. Over the years I noticed that something was changing, that he was not as sharp as he had been, and was more and more forgetful. He kept repeating things, and was just not on top of things in general. I was puzzled with what was happening and his family was having a hard time reconciling the changes. His wife took him for all sorts of tests. Eventually they realized that he was having an early onset of Alzheimer’s. He was just in his early sixties. Over the next few years his son Nick ended up being my supervisor and I appreciated his guidance. In 2003 an opportunity opened up for me to move to Charlottesville, Virgina. Then a few years ago I heard that Tony had passed on. It has been nearly twelve years since I moved. This past week I had a wonderful dream with Tony. His son was quietly standing to his left. Tony and I were seated across from each other in a large wooden booth in a large expanse of room, and he was animatedly talking away like his old self. A journal was spread out in front of him and I could see that it was full of notes. He excitedly shared about a spiritual seminar that he had been to and seemed very pleased about that. I was enjoying myself immensely being with a special friend. All of a sudden it occurred to me in the dream that he was not having any difficulty conversing, not struggling for words. My first thought was that it was a total miracle, that there had been a drug discovered that had reversed his Alzheimer’s! Then I remembered that wouldn’t be possible as he had passed on. My heart is full of gratitude to the Prophet for this reunion with my dear employer and friend Tony. It was a huge gift to be with him again, and experience him communicating as his true self, Soul. And I am grateful to know that he is continuing to grow spiritually. Love does transcend all barriers of time and space. It is so reassuring to know life continues on into other rooms of God’s mansions. Thank you for this beautiful gift. Our prayers are answered when it is in the best spiritual interest of everyone involved. Sometimes it is not merely enough to ask of God. We must “listen” and act on guidance received to help God make our prayers a reality. We play an active part and the timing can be important. My husband and I homeschool our children, and one winter I was concerned that our eldest son did not have enough social interactions with boys his age. His playmate who had been coming to my home daycare had transitioned to kindergarten at the public school. While our son had several friends who are girls, I was concerned that he was missing having boys his age to play and wrestle with. So I took my concern to God and prayed. I prayed not only for him to have a friend, but also for myself to like the mom, so that I could have a new friend as well. We had been planning on giving our kids swim lessons at the local YMCA, but I felt guided to do it sooner than we originally had thought. So I listened to that inner guidance and signed the kids up for classes. At the first lesson I noticed a mom walk in with two boys. I felt kind of shy but talked with her a little and felt comfortable with her right away. After a few classes of sitting on the bleachers with our youngest boys squirming and playing together with trucks, I felt like she was the answer to my prayer. So I asked to exchange phone numbers and we have been friends now for several years. The thing that touches me most from this experience is that the prayer was answered above and beyond what I had asked for with my limited vision. God had not only given my eldest son and me great friends with similar interests, He also knew that we both had younger children that would get along great too. 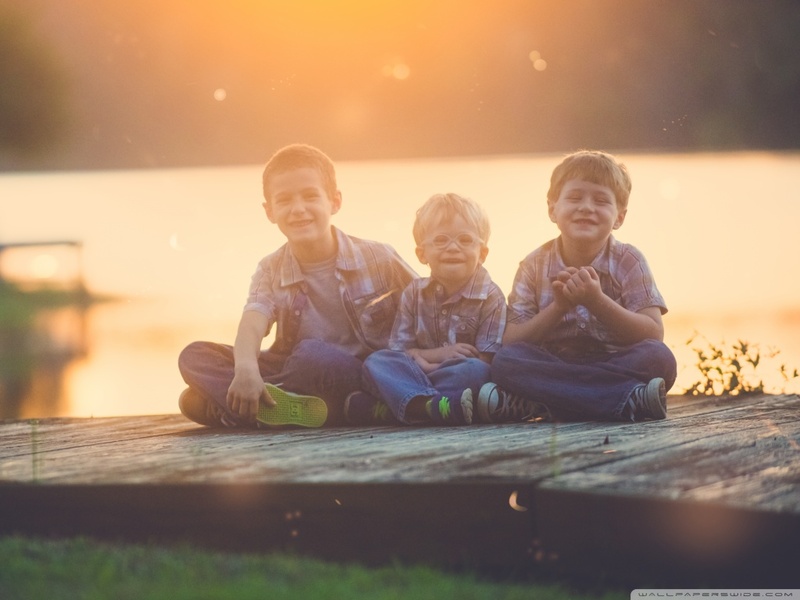 A few weeks ago I shared with my friend that she was an answer to my prayer, at which point she shared that she too had been praying for a friend for herself and her boys. God is great! He answers our prayers even better than we can imagine, all because He loves us.